We all know that SQLSaturday events are good for career networking, professional development, and technical education. Sometimes the perfect story presents itself as a real testimonial. When fellow Baton Rouge SQL Saturday organizer Adrian Aucoin Jr. and I heard about John Wells' (@SQLServerDBA318) story of making a career spark happen in the vendor expo area of our annual event, I couldn't help but think that we had to capture this as a SQLSaturday case study. The idea that people find jobs, recruits, future colleagues, and clients at SQLSaturdays is widely accepted, but it's always nice to read about a real life one in your own town. SQLSaturday is a great day of training and networking that I participate in as much as possible. I was sold after my first experience in Dallas May 2015. Quickly realizing how powerful this event was I made it a point to go to as many as possible moving forward. It’s quite an experience as you not only have great sessions of free training, but even more powerful is the networking involved. Most events have precon sessions for a small fee the Friday before that I have attended and are well worth it. The vendors and speakers make this event happen so I always go out of my way to thank them during breaks and after sessions. In my short DBA career, I have made several new friends and connections because of SQLSaturday. This has made me a big advocate and I try to attend 10 SQL Saturday’s a year. The SQL Server family along with PASS is not like any other organization out of there and I’m happy I found them. I can go on for quite some time about this, however, my SQLSaturday success story came out of Baton Rouge in 2016. I mean how can you go wrong with great training sessions, networking and Jambalaya all in the same day? I was excited when it came time for another SQLSaturday and this time close to home. I made the short trip down to Baton Rouge from Bossier City and was a volunteer for this event. It was another great SQLSaturday and I went around at lunch time thanking all the vendors as I always do. I approached the vendor booth for a large tech recruiter and began to speak to one of the representatives. I told the lady that I was a younger DBA and was curious about the positions around the Baton Rouge area. It wasn’t that I was looking for a new job because I wasn’t, but I was really just curious. She asked me a few questions and gave me her card asking for a resume, which I sent her when I got back home that night. Two days after I sent my resume I was contacted by another representative from the tech recruiter. She told me about two positions that they had been trying to fill for months and sent me the job descriptions. There was one in Baton Rouge that caught my attention, they were really looking for someone with more experience, but were not having any luck and were open to someone with not as much experience depending on their knowledge. The interview came a few days later and before I knew it I was heading down to Baton Rouge for a new adventure. I am now a DBA at a national, publicly-traded ad agency and love it here in Baton Rouge. Everything is going great and I have recently begun attending the Baton Rouge SQL Server User Group meetings. I continue to go to SQLSaturday’s and one day will speak myself at these events. Again, I can go on and on about PASS, SQLSaturday and the SQL Server family, but my success story will always be SQLSaturday #515 Baton Rouge. Not only did John drive 250+ miles from Bossier City, Louisiana to Baton Rouge, get free SQL training, and find a job - he also volunteered! I know one way in which John's story isn't unique: I owe a good bit of my own career trajectory to business and connections made through the Baton Rouge SQL Server User Group and the SQLSaturday it hosts. 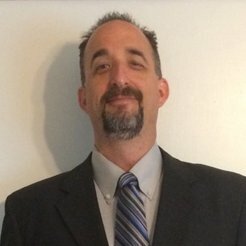 As an organizer of SQLSaturday Baton Rouge, I took the opportunity to ask John a few questions about his experiences at SQLSaturdays in general. Q: Everybody's different, but what is it about SQLSaturdays that makes them worth giving up a Saturday and some travel time? John: It's not just the Saturday - its the entire experience of SQLSaturday including pre-cons, great sessions and networking with similar minded individuals who share the same passion. I also look for the sessions and speakers as well. When I see certain speakers that are highly regarded in this industry that alone makes it worth my time to travel to an event to see their session. I have driven as far as Atlanta just because of the session line up. SQLSaturday is a great tool to invest in yourself and I have also made some friends along the way. Q: Is there a science to how you pick sessions to attend? There definitely is and it breaks out into two pieces. First, am I familiar with the speaker and are they a well known name in the industry? I don't have to know who the speaker is, but someone like Kevin Kline or Grant Fritchey would be someone I would want to see speak regardless of the session content. A perfect example was last year in Oklahoma City where Bob Ward did two sessions so I went to both. Second, what is the session focused on? Anything to do with performance tuning, HA/DR and PowerShell are at the top of my list. However, there are still many other subjects I favor and also is it something that could immediately help me at work. I'm also lucky because I go to so many events that sometimes I will skip a session I want to see because I can see it the following month at another location. Q: What should vendors know about maximizing their visibility and impact to potential job seekers? I think it is how aggressive they are when they talk to attendees. Whether they are a recruiter or software vendor the way they interact with attendees sticks out. The ones that seem to be aggressive and happy to speak with me get my attention every time. Q: Any plans on developing a technical talk yourself? We'd be happy to give you a trial audience at the Baton Rouge SQL Server User Group. Absolutely! I have one in mind and hope to do it in the next few months. My overall goal is to be a speaker at SQL Saturday and I have 2019 in mind. Q: We'll look for you then, John! You're quite the a connoisseur of SQLSaturday events all over the Southern United States. Who's got the best food? No bias here since I'm not originally from Louisiana, but Baton Rouge owns that one. I mean SQLSaturday and jambalaya can't be beat. 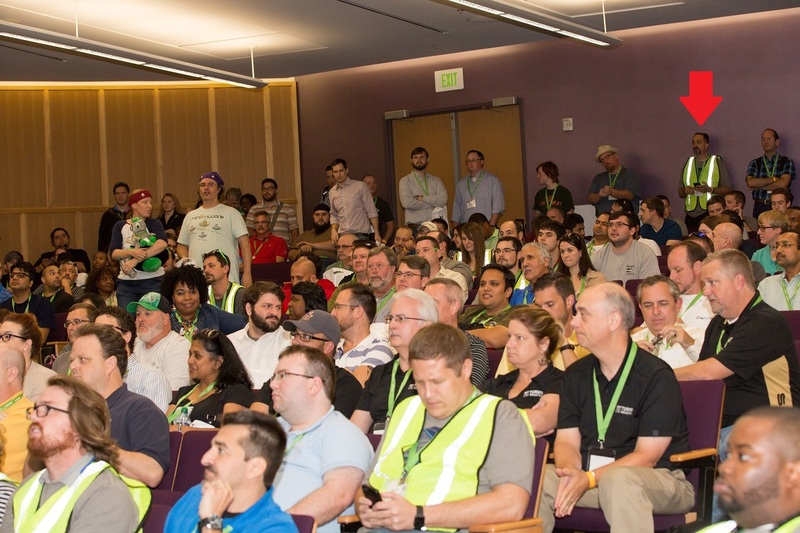 Q: Give me more best-of from your SQLSat travels: most memorable session, vendor booth, end-of-day raffle? There are so many great sessions I have attended in the past two years I can go on for awhile. One session, Branding Yourself, by Steve Jones was one. I walked away with some great ideas and have used them to my advantage. There was a pre-con, Performance Tuning for Mere Mortals, this past January in Nashville by Mike Lawell and Ed Watson. There were some major light bulb moments in that one. I have always enjoyed talking to the folks at Pure Storage and was able to thank Argenis Fernandez personally for answering a question two weeks earlier on #sqlhelp at Nashville SQL Saturday. I think all the end of day raffles are good, but Baton Rouge wins for entertainment. Thanks again to John Wells (@SQLServerDBA318) for sharing, and congratulation on your recent career jump. Looking forward to seeing you on the SQLSat circuit!